Today, I am wrapping up my series on Clean Eating. We’ve just scratched the surface here, but I hope to have raised your consciousness a bit and given you some ‘food for thought’ about the things we eat. 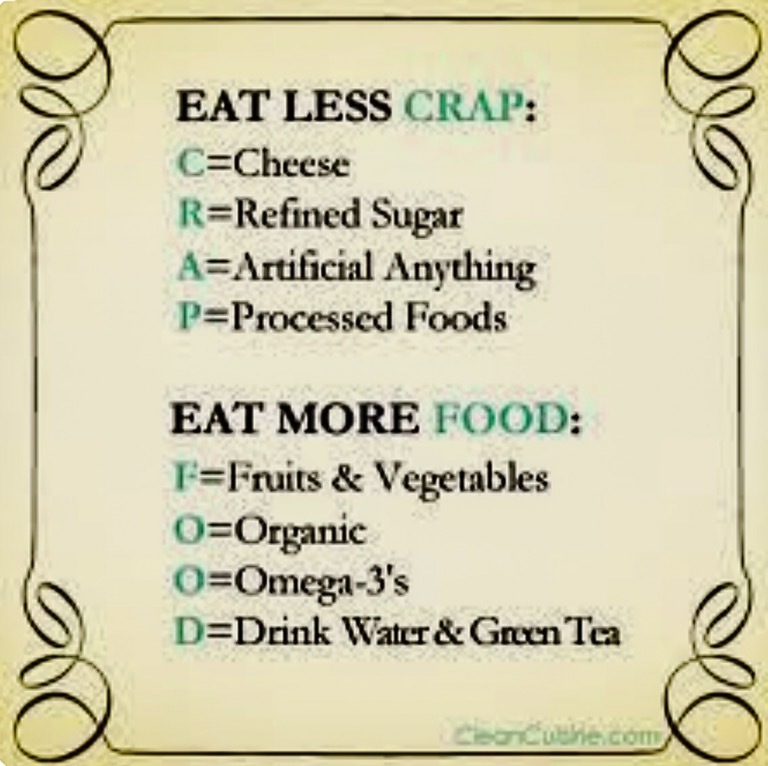 Small changes are best and can make a big impact on your health, so don’t be overwhelmed. Please let me know what you find – Good or bad! If you try the recipes I provided yesterday or if you find a web site you want to share, I’m happy to pass along that along a future blog or newsletter! Here is a helful graphic that shows what produce you might want to buy organic. 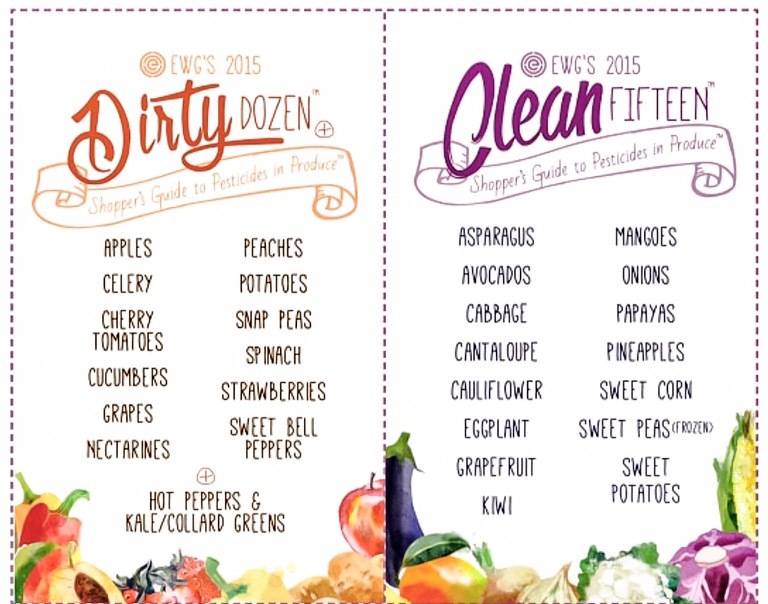 The Dirty Dozen generally have been treated with the most pesticides. 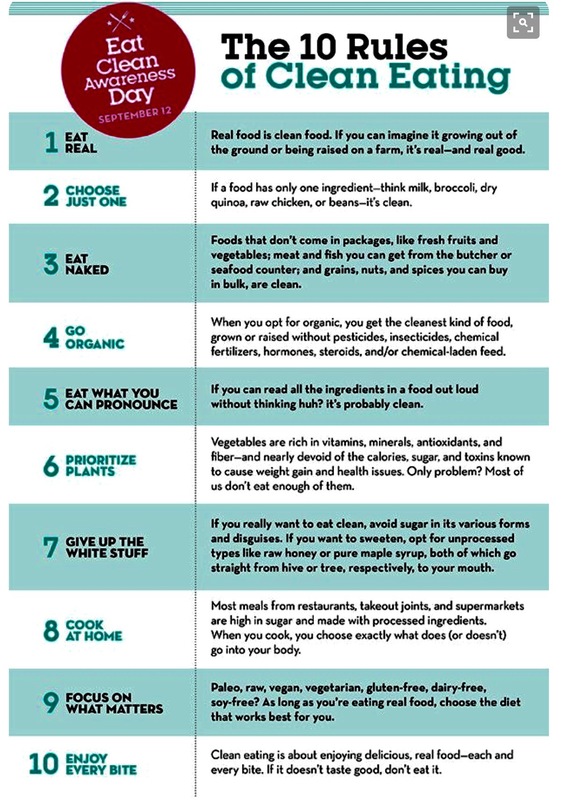 So, if you eat a lot of any of them, it might be worthwhile to go organic. Lastly, don’t be afraid to try something new! There are some different whole grains out there, like amaranth. (See my ‘What are Whole Grains?’ Blog from Feb. 23!) or challenge yourself to ‘eat the rainbow.’ How many different colored vegetables will you eat today? Great series, Barb! It makes you think for sure.